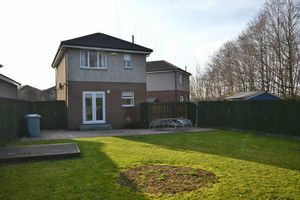 This modern detached three-bedroom villa benefits from generous room sizes, a large garden and room to extend to the side and rear. 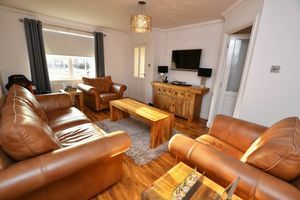 Situated at the end of a quiet cul-de-sac, this family home offers the discerning buyer attractive and spacious accommodation over two levels. 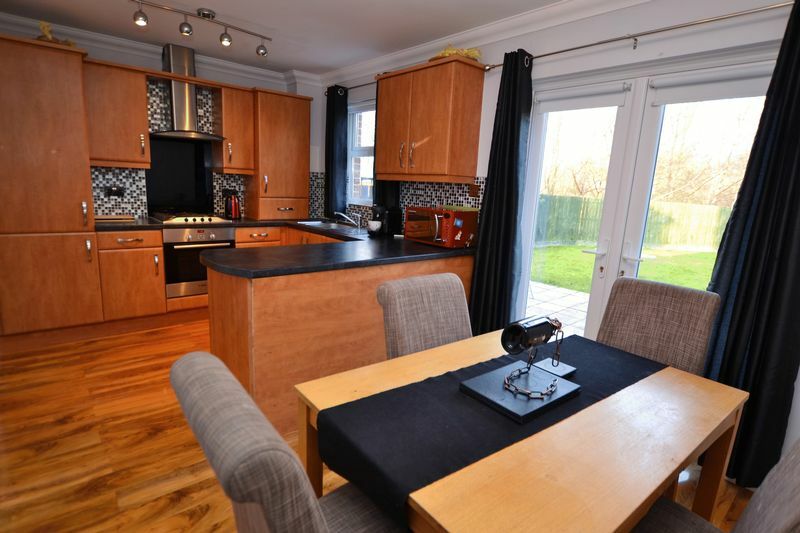 A well-appointed kitchen/diner provides access to the rear garden through French doors as well as downstairs WC. 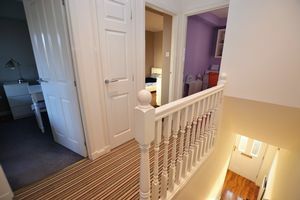 Continuing through the lounge the hallway leads to the upper level servicing the three bedrooms and a family bathroom. 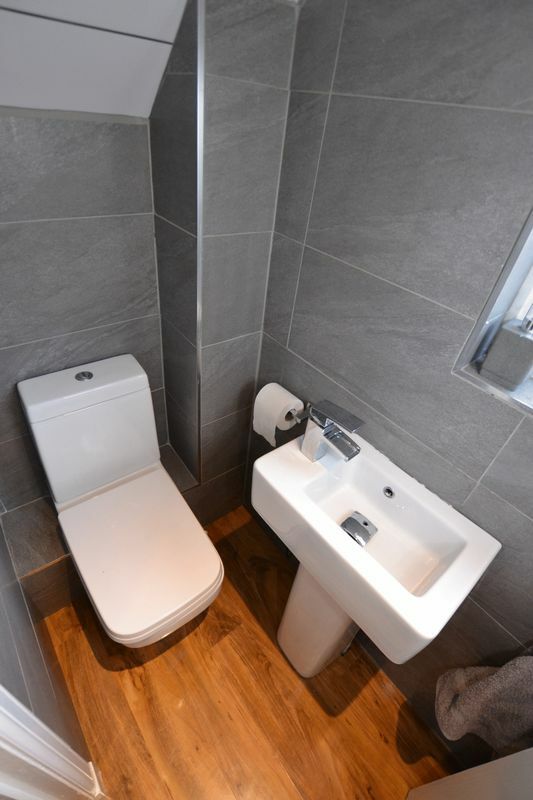 High quality fixtures and fittings can be found throughout. The gardens to rear with patio area are enclosed with the wooden fence bordering a wooded area. 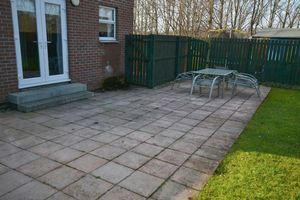 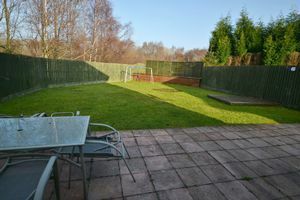 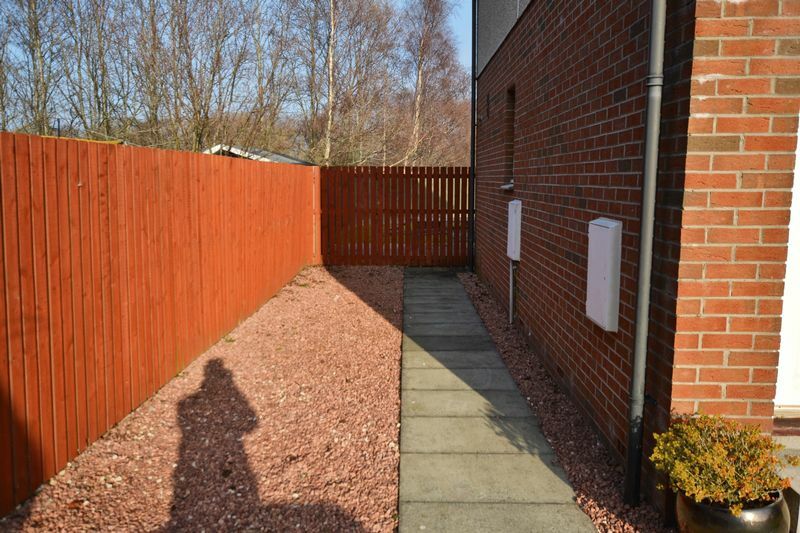 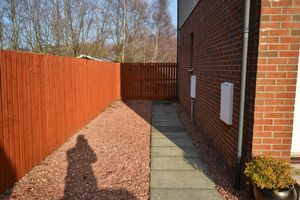 The rear garden is very private with no properties overlooking. To the front a lawn and drive-way parking for up to five vehicles. 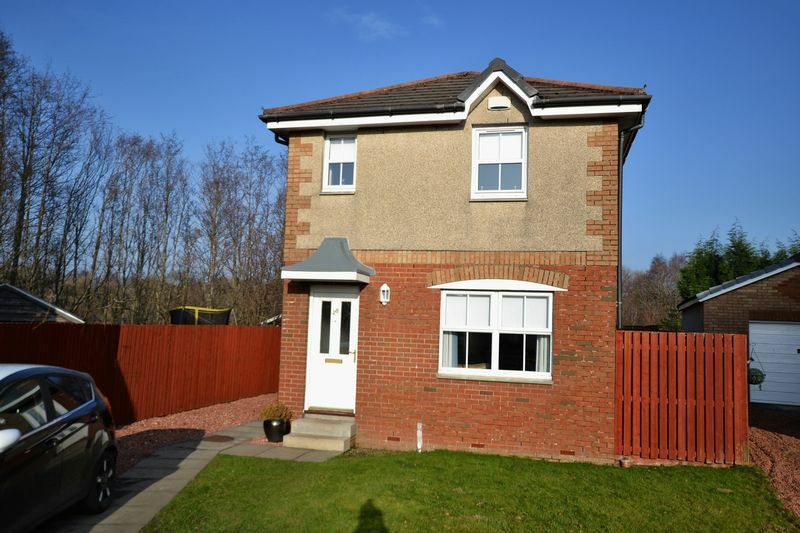 Popular local schools and great road links with Hamilton, Glasgow and the central belt make this the ideal property for a young family. Public transport such as busses and train station are within easy walking distance. 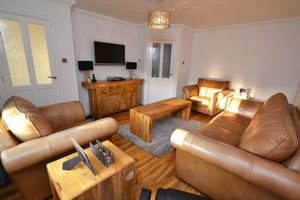 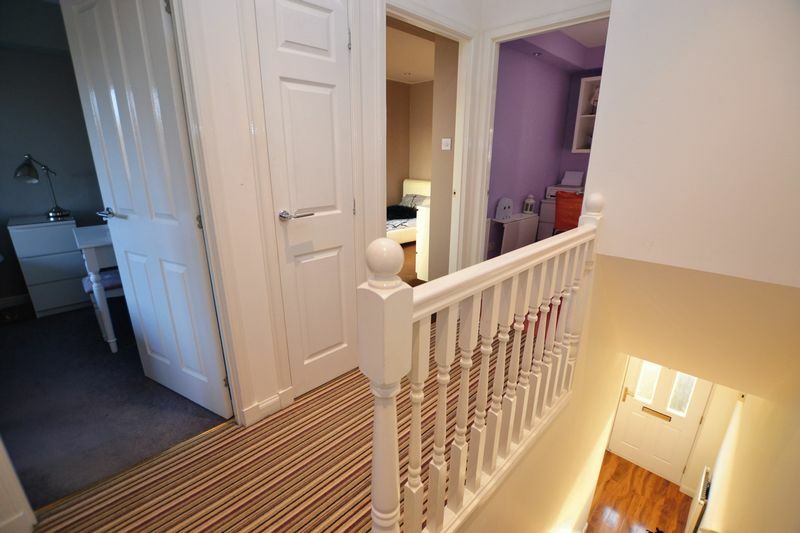 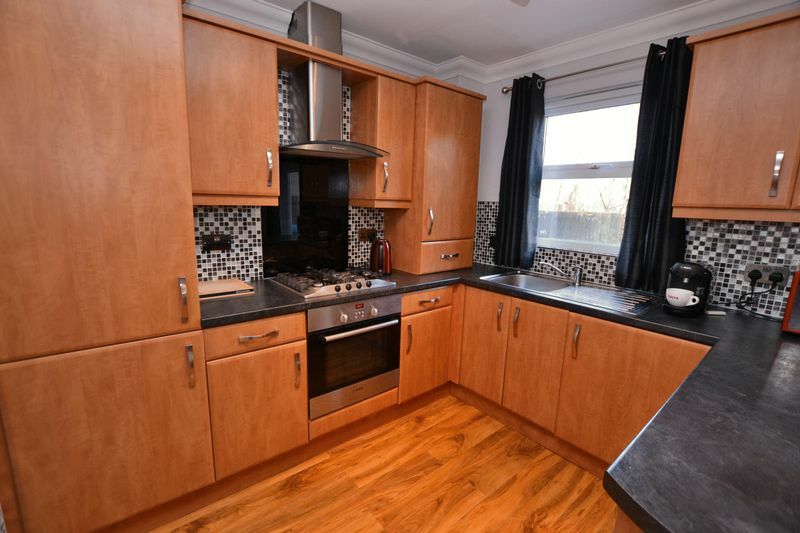 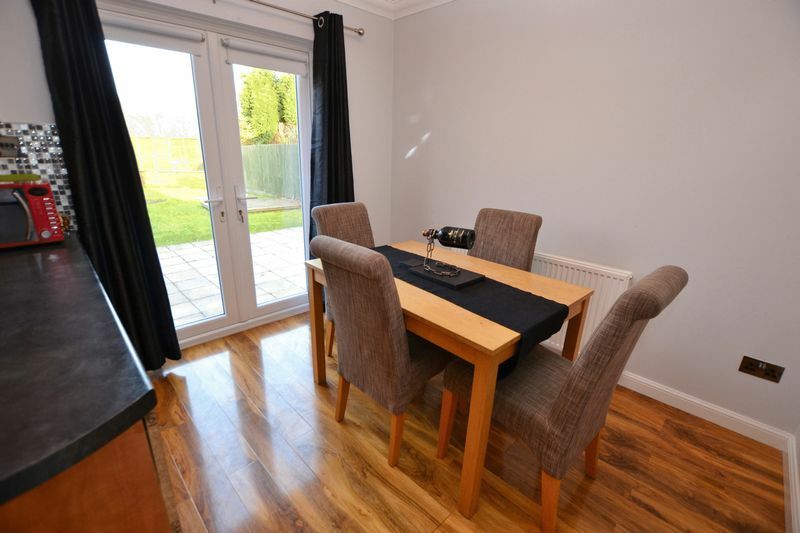 Spacious and bright with laminate flooring and roller blinds. 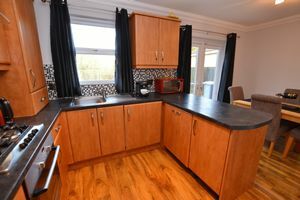 The kitchen has integrated appliances including, oven hob and hood, fridge/freezer and dishwasher. Generous storage space is provided by well laid out wall and floor units including breakfast bar. 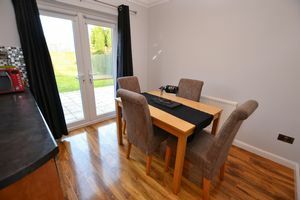 The dining area overlooks the rear garden through a set of French doors which open onto the patio - perfect for those summer barbecues and entertaining. 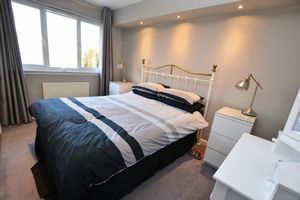 The Master bedroom has fitted double wardrobes and attractive recessed mood lighting, carpeted flooring and roller blinds. The second double bedroom has fitted wardrobes, recessed mood lighting, carpeted flooring and roller blinds. 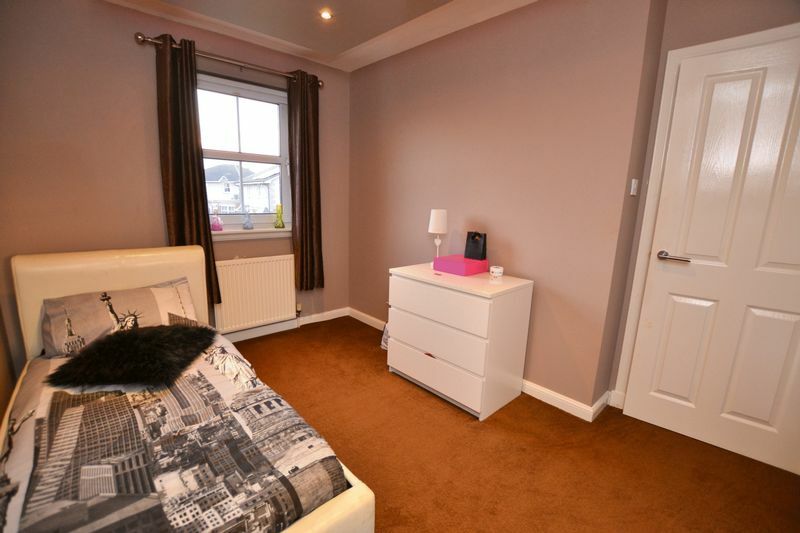 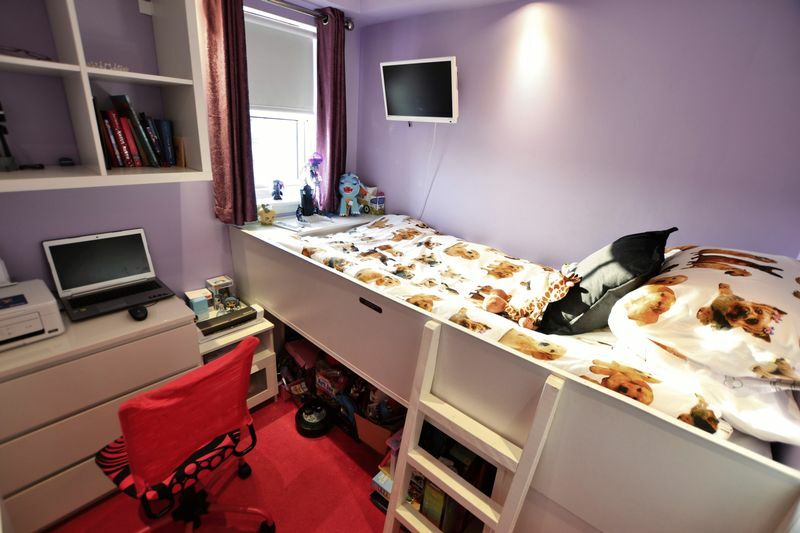 This single bedroom has recessed mood lighting, carpeted flooring and roller blinds. 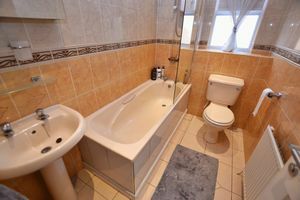 A fully tiled bathroom with fitted bath, shower unit over and shower screen. 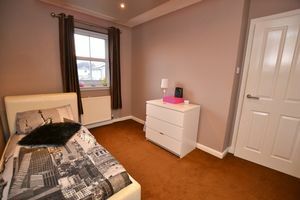 Extractor fan and roller blinds also feature.